I saw that PokeBox had listed wax seal stamps for pre-order. None of these are of Pokemon I collect, but I thought others would be interested. I really do like the design of them. They look like they'd be a fun way to seal envelopes. Does anyone know when will the new pokedolls be available on amazon.jp? A bundle of great gets! I recently lucked out and was able to snag a few rarer items off my wishlist! I found the Lucky Bag Litten on Mercari and to my surprise, I found a seller in Thailand that had all the other goodies here. 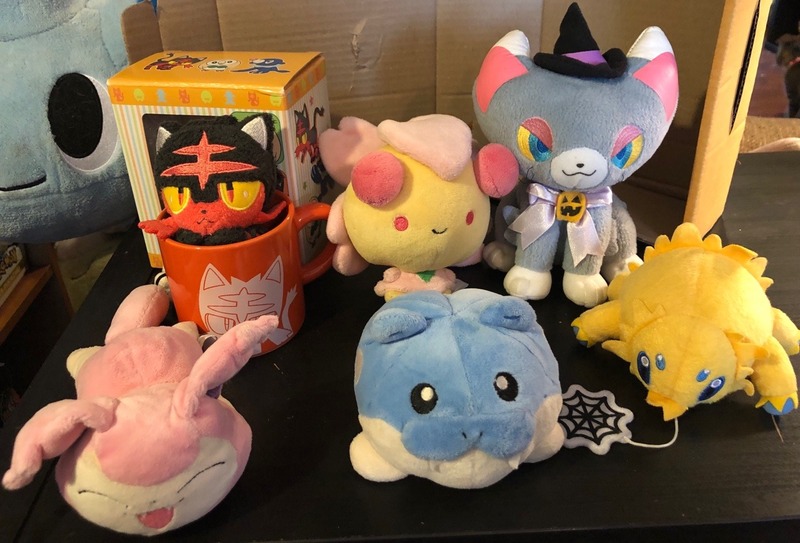 I'm especially excited about the Cherrim Pokedoll and the Spheal KutaPoke plush, but they also had a still working BuruBuru Joltik and two pokecats I still wanted for my collection! Hey guys! 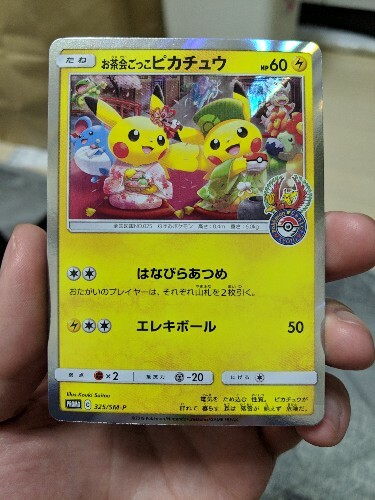 7-11 has some exclusive detective Pikachu merch out now! I picked up some extras for those who don't have 7-11 near them or are not in the US. I have one Pikachu, one Ludicolo and two Psyduck! Each one comes with a free coupon for a refill at 7-11 and is sealed. They are $5 each! Sales perm under the cut. I confess that I have caved and went shopping at Mega Tokyo today. They gave me the Kyoto promo card, which I'm not really interested in. Anybody interested? I'm not too sure yet how to ship things from Japan. Any help would be greatly appreciated. I bought the Lost Thunder box today and what do I find....AHHHHIIIIIIEEEE!!! 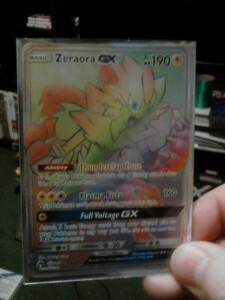 It's the Rainbow RARE Zeraora!! 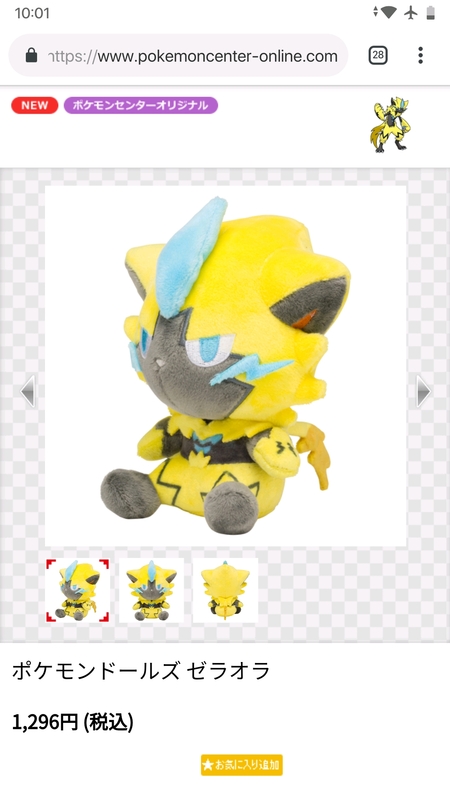 I've been looking for this out of random packs and the moment I buy the Zeraora Lost Thunder box I get what I've searching weeks for!!!! I'm glad I wasn't eating when I pulled it today!! This was so awesome. :) I have to find a hard plastic case to hold it and display it. I haven't seen anyone post about this. I found these guys today and took a photo to show you! And they have a pull tag on them, so they do something electronic too! 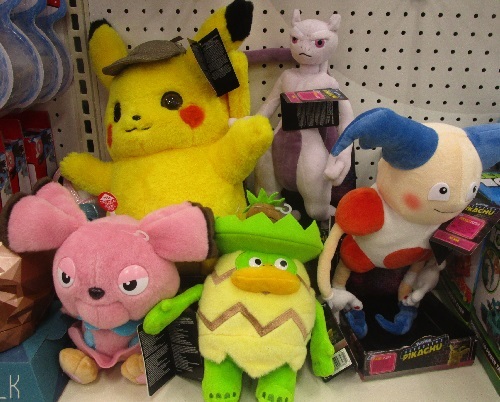 Ludicolo and Snubbull are $15, Mewtwo and Mr. Mime are $20. Does anyone want one of them? I just got my Paypal account and am looking to learn how to be on the recieving end of a payment, so if anyone has interest in any of them, tell me and I'll auction one or more of them off, and you'll be helping me learn Paypal too! I've wanted to buy a groudon plush for a while. 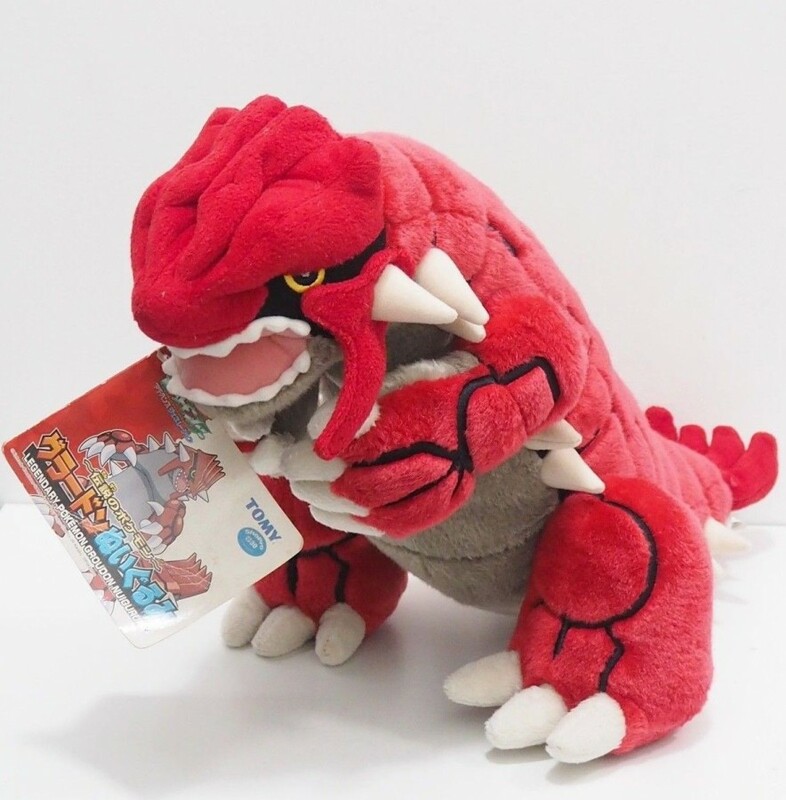 Like the 2006 pokemon center plush or, in this case, the 2004 groudon that was recalled. There's one on ebay that I was looking at because it has a tag, but I swear I remember someone telling me that, generally speaking, you're running a high risk of it being fake if it's from Thailand, just like you would if it's from China. It says on listing it's "20in. tall" but I found on a few other sites that the recalled plush were between 12-13in. tall. Thoughts?